On the banks of the mighty Murray River, the vibrant twin regional cities of Albury and Wodonga are a charming destination. You’ll be delighted with the wonderful cultural scene, delicious food and wine experiences, and exhilarating outdoor adventures such as fishing, canoeing and camping. A great base for day trips to the Snowy Mountains and Rutherglen wine region, Albury-Wodonga enjoys lively arts, theatre, dance and music. The exciting events calendar is brimming with shows, festivals, exhibitions and markets. The weekly Albury Wodonga Farmers Market is held on Saturdays. Among the many enjoyable things to do and see, MAMA – Murray Art Museum Albury – is one of the best regional galleries in Australia. You’ll be delighted with MAMA’s dynamic collections, including important indigenous works. A free guided MAMA tour on Monday mornings explores the gallery. You’ll find plenty of accommodation options in Albury-Wodonga, which is 3h 30min drive northeast of Melbourne and 5h 30min southwest of Sydney. You can fly directly from Melbourne, Sydney and Gold Coast to Albury Airport. 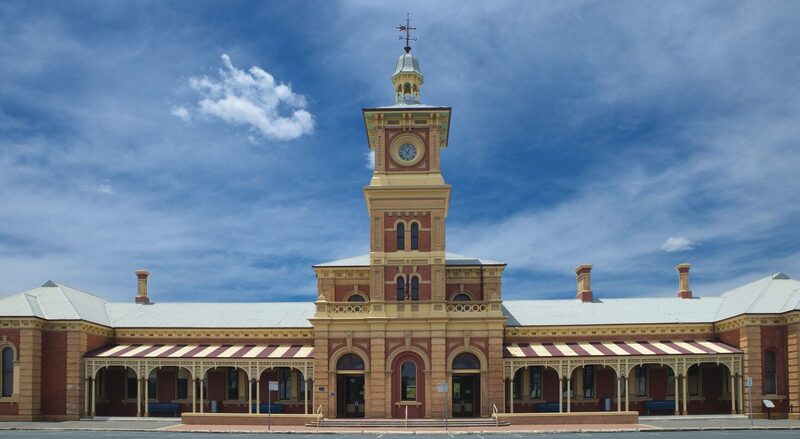 Arriving by train at the grand colonial Albury Railway Station is a delight. The young and young at heart will be thrilled with the many outdoor activities, from Wodonga Creek Miniature Railway and Oddies Creek Adventure Playspace to swimming and cycling. You can hire canoes or join a guided tour with Canoe the Murray. Fishing and boating is popular on Lake Hume. An enchanting way to experience the iconic Murray River is on a riverboat, such as Sienna Daisy. You can hire a bike and pedal on the Wagirra Trail and amble in Wonga Wetlands and Albury Botanical Gardens, a beautiful picnic spot. Golfers will enjoy strolling on the superb Commercial golf course.